We recently had a customer who needed to view and make measurements of plastic film under the microscope. 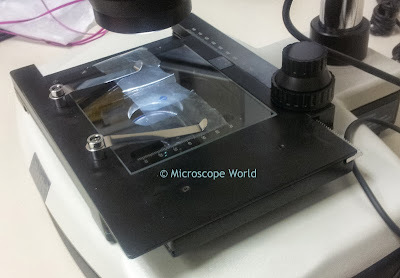 The microscope system used to view the plastic film included the SMZ168 stereo zoom microscope and a 2 mega pixel microscope camera. 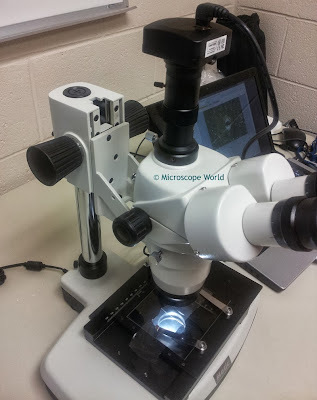 The mechanical stage on the stereo microscope that allows reflected light to pass through the stage. 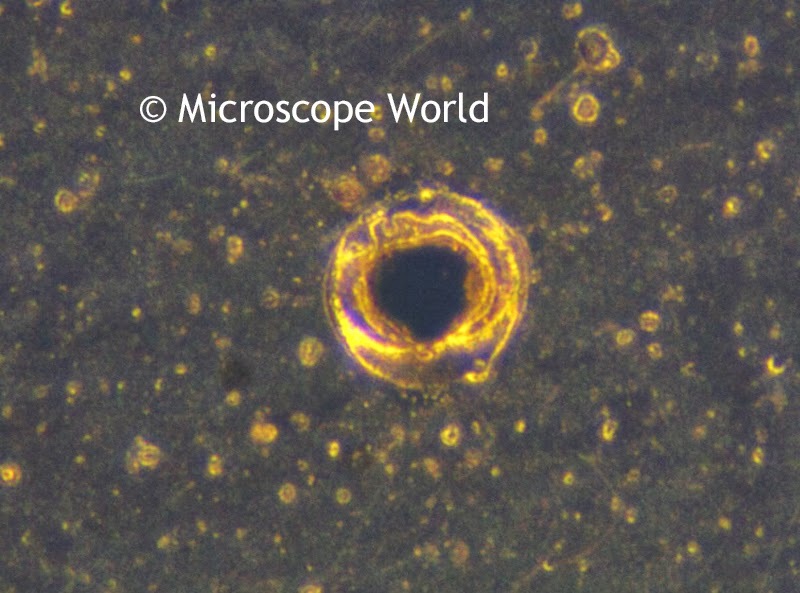 Plastic Film captured with transmitted light under the stereo microscope. 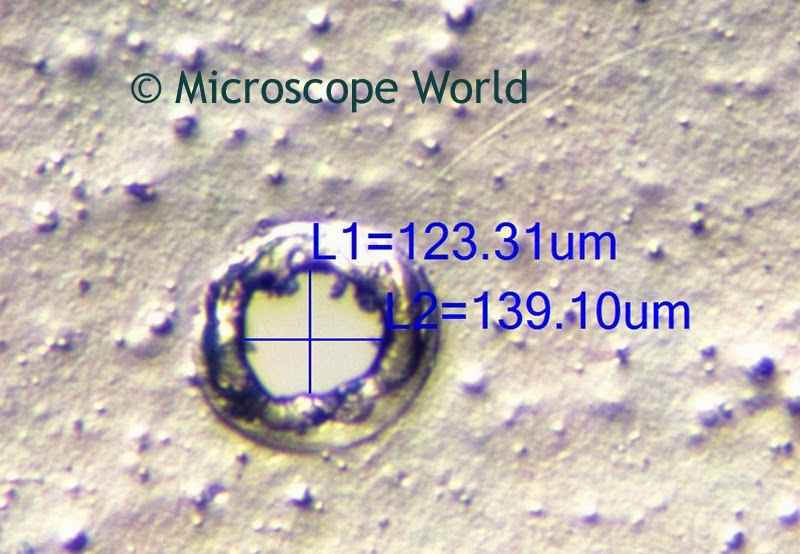 Images were captured both with transmitted and reflected light under the stereo microscope. The measurement software included with the microscope camera was used to measure the diameter of the hole in the plastic film. Plastic Film captured with reflected light under the stereo microscope.